When You Need Best-Practice Knowledge, Strategies & Tools That Are Practical, Proven & Flat Out Work, You’ll Find Them Here. 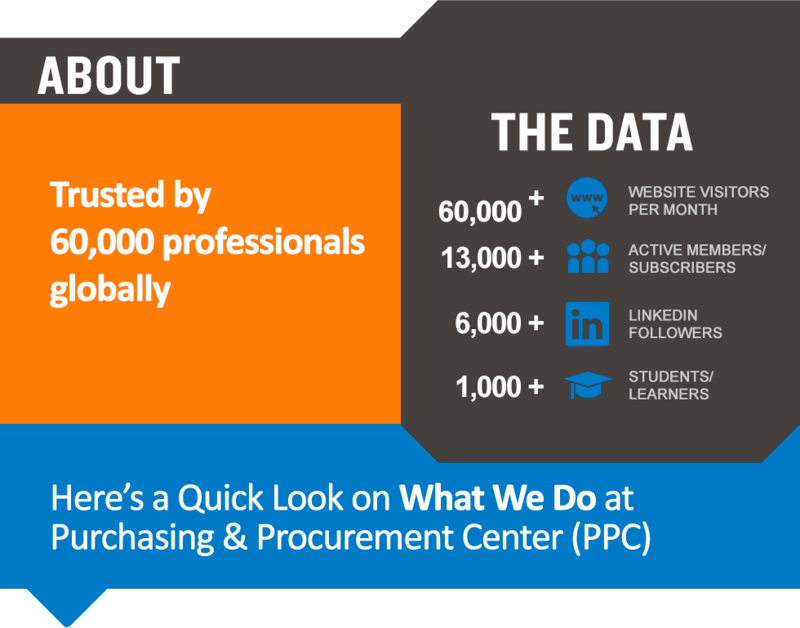 Trusted by 60,000 professionals globally, Purchasing & Procurement Center is the only resource you would ever need to build and train individual & team procurement skills to world class levels. Profit = Sales Revenue - Expenses/Cost. That’s why he sees procurement as that strategic unit that directly influences Costs and the bottom line. That’s why he also believes that procurement belongs in the C-Suite. He leads and manages day to day operations and apart from that does what every CEO must do: meeting & talking with existing & prospective clients. Mark has 30 years in the profession which include senior positions in the Financial, Airlines, and Manufacturing sectors; culminating as Director of Sourcing & Contracting Management for Bank of America, contributing to quarter Billion dollars in savings! Mark is that proverbial Swiss army knife who can strategically advise a CPO one minute and then work side-by-side with a buyer to negotiate a deal and button up a tight contract. He embodies ‘been there done that’ and can explain things in plain English, while making the content engaging with war stories and humorous anecdotes. CPSM, MCIPS, Lifetime C.P.M., M.ED. Nicknamed “True Guru of Purchasing” by one client, Robi energizes and excites everyone that hears him talk. He has over 35 years of procurement experience and he has conducted over 1,000 public seminars on procurement, contracts and supplier management topics for the Institute for Supply Management (ISM), Purchasing & Procurement Center, major universities, and numerous in-house seminars for industrial & services clients in the US, Asia & Middle East. Certified Public Purchasing Officer (CPPO). Mike has won numerous awards including seven Excellence in Purchasing awards, two Distinguished Service Awards, and an Outstanding Agency Accreditation Award. He was the Chief Purchasing and Contracting Officer for the Metropolitan Water District of Southern California, the largest water in agency in the United States. Before that he was Director of Administrative Services and Chief Purchasing Officer for Orange County, California. He has done training and consulting for both Fortune 500 Companies and Public Organizations throughout the United States, Canada, Europe, Asia and South America. Mike is an established Procurement & Supply Chain Expert with more than 40 years real life experience. He is the one that will help solve issues with suppliers or better prevent them from happening in the first place. Apart from being a very engaging and inspiring instructor, he is very hands on when it comes to delivering. That’s why his training sessions are very interactive and his consulting work receives accolades from clients. And if you want someone to tell people what they don’t want to hear, but they really need to, Mike’s the one. 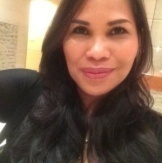 Senai runs the day to day support operations of the company and makes sure that things run smoothly. Her gift is to make things look easy to do and focus people in the same direction. Without her things would not run as efficiently as they could. Billy Jane focuses on building client relationships and making them feel hospitable. She ensures to get things done for clients - and does them quickly and consistently. Her warm personality will make you think that you already know her for many years, even though you may have just met her. If you really want to know what it takes to sort out any issues and get all your team to agree to new initiatives, Marilyn is the one to contact. She’ll ensure that all your team is going to be onboard enthusiastically if and when you work with us. Her gift is to ‘motivate’ your people to become part of the solutions, rather than the problem. Especially if one needs helps from the higher echelons within the organization. Sagheer ensures that all runs smoothly on the technology side. But his gift is to see things beyond technology and to focus on the ultimate objective to achieve - how technology can help people. He is in charge of all ‘tech’ things and ensures that everyone (staff or clients) have an easy time when it comes to anything related to technology.